A major use of cloud storage is backing up files to the cloud in case of local server failure. As storage services continue to develop more and more companies are looking to the cloud for backups because of the ease and accessibility it can offer. The financial industry is one such area beginning to have a greater demand for cloud storage services. This is largely due to a regulation from the U.S. Securities Exchange Commission (SEC) regarding backups and third party access to files. SEC created Rule 17a which is a set of rules overseeing the backing up and archiving of financial information. Among other things, these rules require financial broker-dealers to store backups of their files in a non-erasable non-rewritable format for several years, as well as designate a 3rd party organization that has access to these records in the event that the broker-dealer cannot or will not provide them to the SEC. Historically this rule was not followed very strictly as the SEC did not check for compliance and many broker-dealers ignored it as it would only ever be noticed if they went out of business (which they weren’t actively planning on). In the past few years this has changed, however, as the Financial Industry Regulatory Authority (FINRA, a self-regulating organization for stock brokers and firms) has begun to request proof of SEC Rule 17 compliance from broker-dealers, and giving heavy fines to those who have not followed the regulations. Because of these test and fines, more companies are now looking to become compliant, and many are turning to cloud storage to do so. 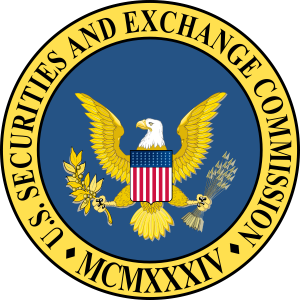 Mover has a white paper for SEC Rule 17a to help expand on how this regulation will affect Cloud-based companies and Mover. There is also a short presentation deck outlining the key points from the white paper. Please note that this shared for free to you as a copy of our own internal research and does not constitute legal advice. If you found these useful please stop by our Twitter, Facebook, and LinkedIn pages for future info.